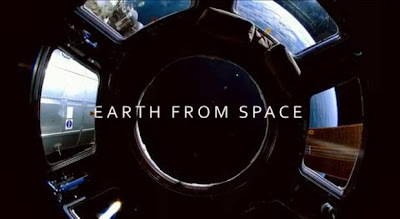 NOVA "Earth From Space" is a groundbreaking two-hour special that reveals a spectacular new space-based vision of our planet. NOVA takes data from earth-observing satellites and transforms it into dazzling visual sequences, each one exposing the intricate and surprising web of forces that sustains life on earth. Viewers witness how dust blown from the Sahara fertilizes the Amazon; how a vast submarine "waterfall" off Antarctica helps drive ocean currents around the world; and how the Sun's heating up of the southern Atlantic gives birth to a colossally powerful hurricane. From the microscopic world of water molecules vaporizing over the ocean to the magnetic field that is bigger than Earth itself, the show reveals the astonishing beauty and complexity of our dynamic planet.